Botox or Botulinum toxin is a product manufactured by the company Allergan. It is used for both cosmetic and medical treatment purposes. Health Canada Warning: Make Sure you have an Experienced Physician administer your Botox. Anyone else performing this procedure would be considered an illegal activity by the Canada Food and Drugs Act. 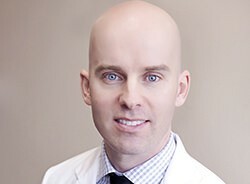 Dr. Crippen has been performing Botox Kelowna Cosmetic Injections for over 10 years and is one of the most experienced physicians in the country. Make sure you have an experienced physician perform your Botox Injection in Kelowna. 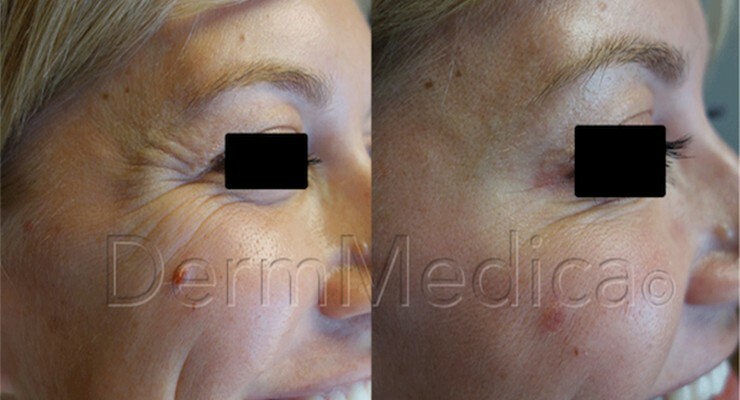 Below is a Video of Dr. Crippen performing a Botox Cosmetic Treatment. BOTOX ® Cosmetic can be injected into muscles and used to improve the look of moderate to severe frown lines between the eyebrows for a short period of time (temporary). 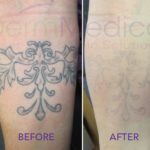 BOTOX ® Therapeutic is injected into the skin to treat the symptoms of Hyperhidrosis or severe underarm sweating when medicines used on the skin (topical) do not work well enough. How Does a Botox Treatment in Kelowna Work? BOTOX ® Cosmetic works by blocking nerve impulses to injected muscles. This reduces muscle activity that causes the moderate to severe lines to form. These types of lines are also called dynamic lines. Muscles receiving BOTOX ® Cosmetic injections no longer get the signal to contract. These muscles stay at rest resulting in smoother skin over time. BOTOX ® Therapeutic works by temporarily blocking the chemical signals from nerves that stimulate sweat glands. Botox is a great wrinkle therapy and is an alternative to the Fraxel Laser, Juvederm Filler, Xeomin, Dysport, Restylane and Radiesse. What Conditions Does Botox Treat? The average appointment is 10-15 minutes, involving a simple BOTOX injection into the treatment area with little to no discomfort. The effect of the Botox treatment will take a few days to become noticeable and in some patients it can take up to a week for Botox to be fully working. You are supposed to use your muscles normally after treatment however do not manipulate or massage the treated area for the first 24-48 hours. This will allow the Botox proteins to penetrate into the muscle correctly and in the desired location. 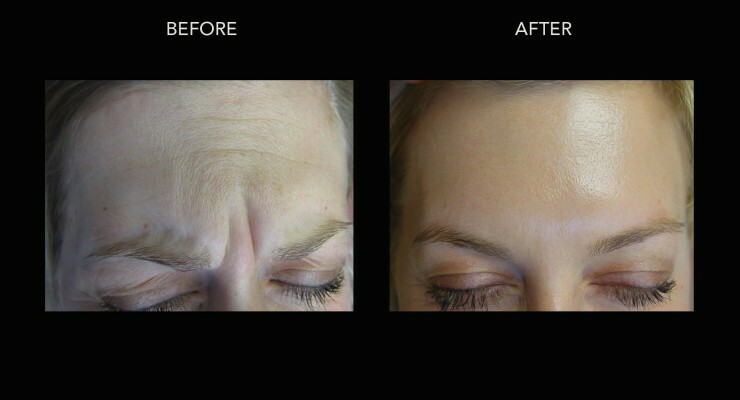 Immediate – patients receiving BOTOX are able to return to their normal activities immediately. There is no downtime. A follow up appointment will be scheduled for one to two weeks after the treatment to monitor your progress and to make sure the Botox treatment is working to your satisfaction. It will likely take 2 -4 days for a treatment to start working, and up to a week before the treatment takes full effect. When the treatment is activated the visible results will be smoother skin, the reduction of wrinkles, or decreased sweating depending on the condition being treated. It is important to remember however, that results are only temporary (normally 3-4 months but this duration varies between patients) and additional treatments will be necessary to maintain achieved results. Dr. Crippen has over a decade of experience injecting Botox for thousands of his patients. You will be in very experienced hands. A wide square jaw is a traditionally masculine quality that can be embarrassing or undesirable for females. Some women wish to narrow the lower third of their face. Botox injections in the Masseter muscle offer a non-surgical method of jaw reduction. Jaw reduction surgery can be invasive for many patients who prefer to opt for a lower risk form of jaw reduction. It is important to consult with a doctor to make sure that it is the Masseter muscle and not the jawbone that is causing the extra width of the face. If it is the jawbone then Botox Jaw Reduction treatment will not work and surgery remains the only option. Where the Masseter muscle along the edge of the jawbone is responsible for the square appearance of the face the injection of Botox can weaken this muscle and reduce its size creating a rounder and daintier facial shape. Repeat injections can often weaken the muscles. Many patients come in for two or three initial treatments. Some patients return every six months or so for additional work. As always, it’s important for us to point out that undergoing any type of medical procedure should entail consulting with a licensed and experienced physician first. No one else should even be attempting to operate on you, let alone inject you with anything. Sadly, not everyone does their due diligence before undergoing cosmetic procedures. As a result, some people have some horror stories following surgeries or treatments that involve injections. However, it isn’t BOTOX that deserves the bad rap. Instead, it’s the non-licensed individuals posing as professional physicians who should be reprimanded. That being said, it’s important to unveil some truth about BOTOX. And in order to do so, we must take a look at some of the most prevalent myths about it. 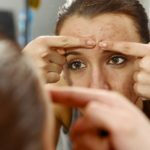 On EmpireMedicalTraining.com, a list including the top five myths about BOTOX can be found. We began to take a look at this list in our last blog. Let’s pick up where we left off, shall we? The third myth listed is that BOTOX will leave you with a frozen face or give you that unnatural “startled” look. In fact, patients generally appear more relaxed and youthful. Once again, this is a myth that is perpetuated by the unqualified individuals who have improperly administered BOTOX injections. Trained professionals know exactly which muscles to treat and only inject BOTOX into those specific muscles. Here’s another myth: You can only get one BOTOX treatment. In actuality, you can repeat your BOTOX treatments. As EmpireMedicalTraining.com explains, treatments can last up to three months in order to achieve optimum results. Some people respond quicker than others, so the frequency of visits depends on the individual. Again, consulting with a doctor is the best way to discover what treatment plan is best for you. Finally, myth number five is that BOTOX is a dangerous toxin. In truth, it has a fabulous safety record. We hope our blogs have helped to dispel some myths, while encouraging you to consult a physician if you have any questions about BOTOX. Not located in Kelowna? We see patients from many surrounding areas including here, here and here. How Much Does Botox Cost in Kelowna? The cost of Botox in Kelowna varies per patient and per area treated however the most common area to be treated is the glabella(between the brow). The average cost for this area is about $300, but a firm quotation can be supplied after your formal assessment. Botox will last on average 3-4 months and you will need to repeat the treatment to maintain your results. 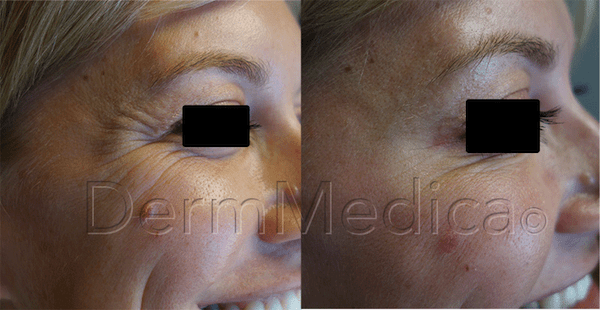 The other common treatment areas include the crows feet and forehead area. Dr. Crippen has been performing Botox cosmetic treatments for well over 12 years and has literally treated thousands of patients so you are in capable hands for your Botox treatment. How is Botox different from the surgical option? Botox is an outpatient procedure that typically does not have a long recovery period. In most cases patients can return to work and their everyday lives right away. Botox creates subtle changes to the treated area with minimal risks and side effects. Surgery is highly invasive and involves cutting or shaving the jawbone to reduce its size. The surgical option requires a lengthy recovery. There are numerous risks associated with a surgery of this nature. Complications include sensation problems, dental alignment problems and pain. Are there foods you should avoid after the treatment? Any foods that are tough or difficult to chew promote the use of the Masseter muscle and should be avoided post-treatment. Use of the muscle makes it appear more prominent and these foods including gum, chewy candies and tough meat like jerky and cuttle fish should be avoided. Avoiding intense chewing and foods that work the Masseter muscle is not enough to change the shape of the jaw on its own. The Botox will atrophy the muscle and make it less pronounced. Who shouldn’t have this treatment? Individuals with pre-existing conditions, medical problems and dental issues should not have this surgery. Those with neuromuscular disorders like Myasthenia Gravis or Lambert Eaton Syndrome should not receive Botox. If you are pregnant or breastfeeding you should not receive Botox. Those with skin or dental infections should not receive the treatment. Is it possible to be allergic to Botox?, How do I test for this? We are not aware of any authentic cases of allergy to the Botox protein. Of course it is possible to be allergic or sensitive to anything, however Botox has such a low allergenicity it is quite amazing. After treating thousands of patients we have yet to meet anyone who is allergic to the Botox protein. I want Botox ready for a special occasion. How far in advance should I have the procedure done? Two months away. Will I have time to heal and for the Botox to take effect in that time? I would recommend having your Botox about four weeks before the big event. This will give your skin plenty of time to smoothen out beforehand and give you an exact idea of what your full results will be in time for your event. How Can Botox Help Me with Excessive Sweating? “Botox can be very effective for hyperhidrosis (excessive sweating) in the right patient. Your doctor just needs to make sure the sweating is not due to another serious medical condition (ie., hyperthyroidism) first before planning treatment. There is a surgical option for treating hyperhidrosis as well and involves undergoing a procedure that cuts the sympathetic nerves to the affected region of the body. This procedure can commonly result in increased sweating elsewhere on the body. Botox does not have any side effects unlike the surgical option where you are under a general anesthetic. What is the Procedure for a Botox Treatment in Kelowna? The average appointment is 10-15 minutes, involving a simple BOTOX injection into the treatment area with little to no discomfort. The effect of the Botox treatment will take a few days to become noticeable and in some patients it can take up to a week for Botox to be fully working. You are supposed to use your muscles normally after treatment however do not manipulate or massage the treated area for the first 24 hours. This will allow the Botox proteins to penetrate into the muscle correctly and in the desired location. What is the Recovery Time after your Botox Treatment? 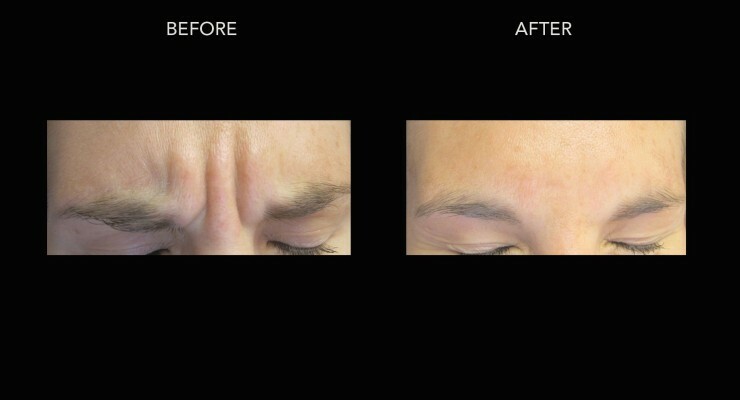 What Are the Expected Results of a Botox Treatment with Dr. Crippen? Have you done Botox injections to treat migraines? We have been using Botox to treat migraines for many years. It is a highly effective treatment with no downtime. The treatment will not completely eliminate your headaches, but most patients find that the degree and severity of their headaches is significantly reduced leading to less use of medications and less pain overall. Will hyperhidrosis treatments affect the sensitivity in my hands? This is an excellent question. Injecting Botox into the hands, will decrease the sweating ability of the hands as well as the strength of the muscles. Decreased strength is unavoidable, but it does not normally impair your hand use or function. The hand will feel the same as before with no decreased sensation.